Personalized Bathroom Scale Custom Printed in Bulk. Promotional, Inexpensive. Budget Prices in America. Bulk bathroom scales -precision weight watchers scales, custom imprinted or laser engraved with your logo or message. We also supply blank (not imprinted) wholesale bathroom scales at NQP (Next Quantity Price). This precision, digital bathroom weight scale should be a compulsory item for any health conscious person. 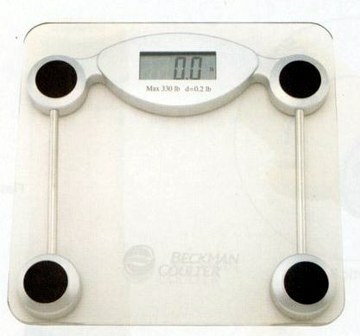 Best price in the USA and Canada for bulk personalized bathroom scales. Free artwork design. American clients pay no taxes. We will send you a proof for your approval before production. Prices include a 1 color, 1 side imprint. Set up charge is $40.00 per color. You may order any in-between quantity. Additional Imprint Colors: add $0.50 per color, per weight scale. 1/3 in. tempered safety glass, automatic zero resetting, and automatic switch off in 60 sec. It makes accurate measures when trying to cut pounds. Imprint Method: Laser engraving or Silkscreen: your choice, same price. Power Supply: Cell battery included, long lasting, replaceable. Production Time: 5-10 days after artwork approval; Rush production is available: contact us.